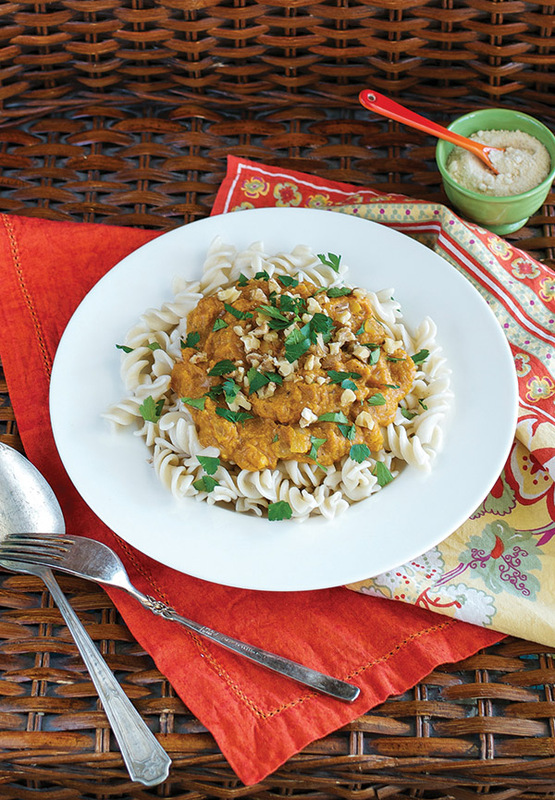 This vegan Rotini with Creamy Pumpkin Sauce and Walnuts from Cook the Pantry by Robin Robertson is good enough to make you forget this is pantry cuisine. It’s the ultimate dinner dish for chilly autumn evenings. Pasta tossed with a creamy sage-infused sauce sprinkled with walnuts is good enough to make you forget this is pantry cuisine. Cook the pasta in a pot of boiling salted water until just tender. When the pasta is done cooking, drain it and return it to the pot. Add the reserved sauce and toss to combine. Serve hot sprinkled with the toasted walnuts and parsley. Recipe from Cook the Pantry © 2015 by Robin Robertson. Photo by Annie Oliverio. 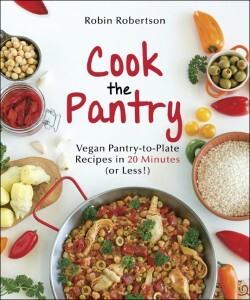 Used by permission Vegan Heritage Press LLC. 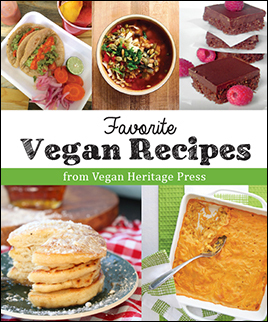 Subscribe to our mailing list and receive our free Favorite Vegan Recipes eBook. Visit the VHP Blog for Recipes, News, Contests, and More! "Care for a slice of blog?" 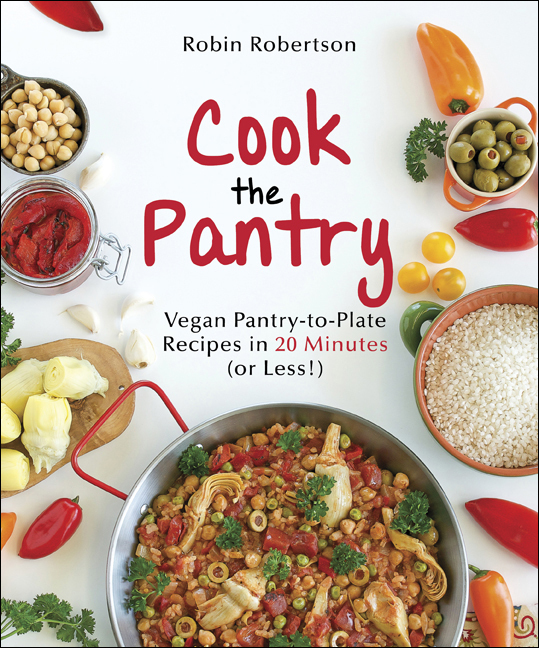 Vegan Heritage Press front list titles are distributed by Andrews McMeel Publishing through the Simon & Schuster international distribution system. Click here to see our expanded outreach to the trade. See our Press Releases here. All content Copyright © Vegan Heritage Press, LLC. Unauthorized use and/or duplication of this material without express and written permission is strictly prohibited.